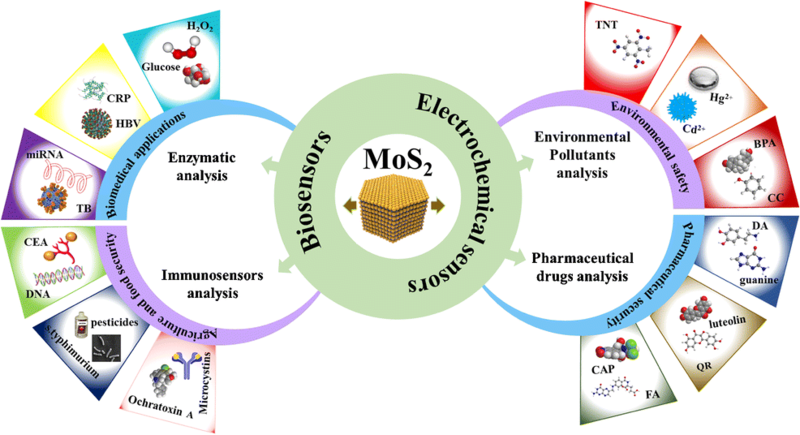 The primary objective of this review article is to summarize the development and structural diversity of 2D/3D molybdenum disulfide (MoS2) based modified electrodes for electrochemical sensors and biosensor applications. Hydrothermal, mechanical, and ultrasonic techniques and solution-based exfoliation have been used to synthesize graphene-like 2D MoS2 layers. 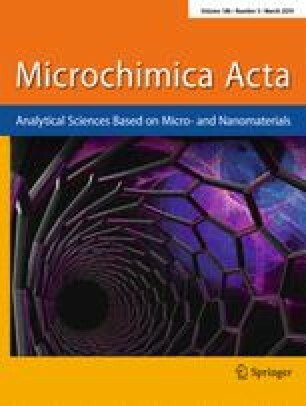 The unique physicochemical properties of MoS2 and its nanocomposites, including high mechanical strength, high carrier transport, large surface area, excellent electrical conductivity, and rapid electron transport rate, render them useful as efficient transducers in various electrochemical applications. The present review summarizes 2D/3D MoS2-based nanomaterials as an electrochemical platform for the detection and analysis of various biomolecules (e.g., neurotransmitters, NADH, glucose, antibiotics, DNA, proteins, and bacteria) and hazardous chemicals (e.g., heavy metal ions, organic compounds, and pesticides). The substantial improvements that have been achieved in the performance of enzyme-based amperometry, chemiluminescence, and nucleic acid sensors incorporating MoS2-based chemically modified electrodes are also addressed. We also summarize key sensor parameters such as limits of detection (LODs), sensitivity, selectivity, response time, and durability, as well as real applications of the sensing systems in the environmental, pharmaceutical, chemical, industrial, and food analysis fields. Finally, the remaining challenges in designing MoS2 nanostructures suitable for electroanalytical applications are outlined. • MoS2 based materials exhibit high conductivity and improved electrochemical performance with great potential as a sensing electrode. • The role of MoS2 nanocomposite films and their detection strategies were reviewed. • Biomarkers detection for disease identification and respective clinical treatments were discussed. • Future Challenges, as well as possible research development for “MoS2 nanocomposites”, are suggested. A correction to this article is available online at https://doi.org/10.1007/s00604-019-3367-z. We would like to thank the National Research Foundation grant funded by the Ministry of Science, ICT and Future Planning of Korea (No. 2014R1A5A1009799 and 2017M2A2A6A01020938) for funding support. We thank Seo Young Oh for her assistance with the drawing of schematic illustration and for sharing her wisdom with us during the revision of this research.